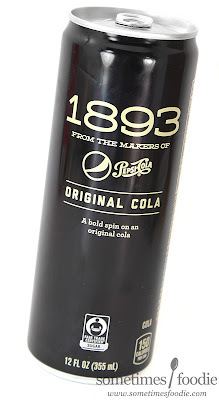 Before Pepsi started slapping emojis on their bottles, they came out with two retro-looking 1893-themed cans of soda in both original, and ginger cola flavors. I grew up in a strictly Coca-Cola household, but I've always liked Pepsi products more, so I thought it'd be fun to check these out and see how they differ from the normal cola. First up, the "Original." The story behind this product is that back in 1893 the beverage we now know as "Pepsi" made it's debut, so this is a throwback to older recipes and flavor profiles. It's meant to be a "bold spin on cola" featuring kola nut, ginger, and real sugar. Sounds pretty good to me! Pepsi has been marketing this product as a mixer for alcoholic beverages, and as an artisanal soda. Basically, they're trying to make this line seem more mature, and less playful, to appeal to the hip foodie crowds who shop at places like Rastelli's or Whole Foods. It's pretty smart. Their fun emoji-line of bottled sodas targets the masses similarly to Coke's name-on-the-bottle campaign, while this thinner, more mature-looking can appeals to the snobbier foodie market. They've got the bases covered, and that's a pretty good business plan. I popped the top, and the cola inside smelled caramelized and ginger-heavy. Considering that the other flavor in this line is supposed to be a ginger cola, I thought that having this be ginger-heavy as well was a weird choice. When poured over ice in my little tasting glass the cola looks dark and very similar to normal Pepsi. At face value, it's really difficult to tell the two apart, but the aroma is a dead give away. Thanks to the kola and ginger, this smells more like an herbal soda than a commercial cola from a brand as big as Pepsi. Down the hatch! 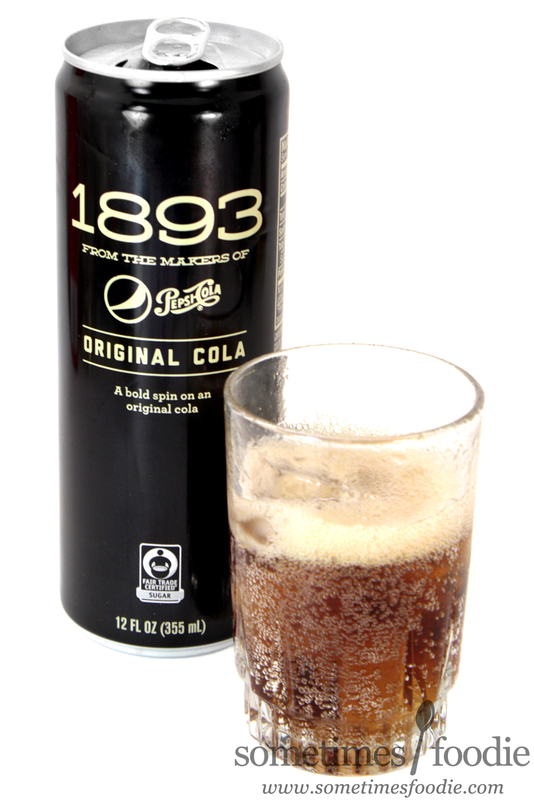 I took a sip, and this 1893 cola is much lighter than normal Pepsi cola. It has a bold ginger presence with a classic caramel cola taste and a very refreshing, almost sparkling water-like, finish. The flavoring is honestly just okay, it's a more mild and natural version of Pepsi cola, but the refreshing mouth feel was what really impressed me. 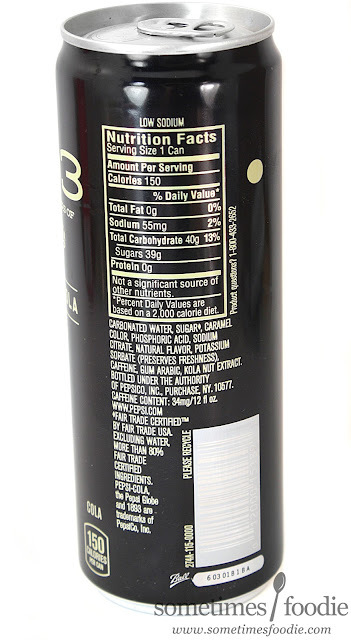 It tastes like a lighter cola, but the refreshing feeling is on-par with water! I couldn't get over it and easily polished off the can. For a big commercial brand to release something so...refreshing, and not cloyingly sweet, is pretty interesting. It claimed to be a "bold" cola, and while I wouldn't define the flavoring as bold (I think it's fairly mild if anything) the lightness and refreshing feel is quite bold itself. It feels so..different! This is so hard to describe, but I'll try my best to clarify. If you've ever drank flat Pepsi you know it's super sweet and very cloying, the carbonation makes it much more drinkable and less hummingbird-nectar-y, but this 1893 soda, even when flat, is still drinkable and not syrupy at all. I prefer it with the bubbles, but it doesn't NEED them like the normal cola does. As I said before, the flavor is honestly okay. 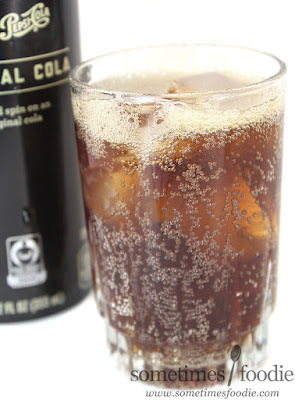 It's similar to the original cola, but with a more natural and overall lighter mouth-feel. It's not something everyone HAS to try, and it won't drag sugary cola lovers away from their favorites, but I just can't get over how refreshing it was. I wouldn't buy this buy the case, but it is a really great soda for summer because it actually feels like it satisfies your thirst, unlike normal sugary colas. For that, I'd say this is a really neat product, but due to it's lighter flavor, it won't appeal to everyone.